Today marks a momentous milestone in Philippine gaming history as we have managed to open the first PlayStation Store in the country, located at SM North Edsa. PlayStation has partnered with local distributor iTech to open their first ever exclusive location. It is quite a tremendous achievement on the side of ITech, as with this, they are starting to solidify their position as a highlight game retailer store, not as a Datablitz substitute. The turnout for the the opening of the PS store was surprisingly quite a lot of people. A lot of Pinoy games media (Sirus included, of course) were present for the opening ceremony, as well as a significant number of local Playstation fans. 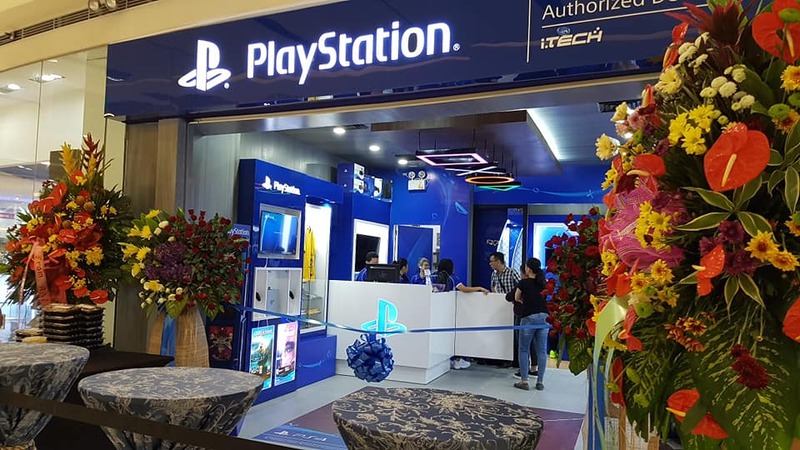 The ceremony was formally started with a shop blessing, and afterwards, representatives from iTech, PlayStation, and SM Malls proceeded with the ribbon cutting, formally starting the operations of the first ever Playstation store. A representative for Globe Telecom was also present to promote GCash, Globe’s mobile payment system. The store is jam packed with Playstation 4 games and accessories. There are also official Playstation merchandise available, like Tshirts and jackets. Two demo consoles are available for customers to try, with one for regular PS4 games and one special setup for PSVR games. A neat addition for the PH PS store is that it accepts GCash as payment for your purchases, which is undoubtedly a very good move. As part of the opening promotions, the store offers discounts on purchases using GCash, with na 200 peso discount on your first purchase, and 10% on all GCash purchases until July 31. The ceremony ends with a shop sponsored Tekken 7 tournament for the present media partners, with more limited merchandise as prizes. The PlayStation Store can be located on the 4th floor of the SM North Edsa Annex Building. Make sure to visit it soon!